I am just so ecstatic about this discovery and would love to share this to all. Indeed it was good, but you see there is something better than it, it's raw honey. I used to think that just because honey is "natural", any kind of honey is healthy. Then I found out that it is simply not true when I attended a Raw Food Session at Sugarleaf. Certified Raw Chef Mona Lisa Neuboeck shared us the big difference between eating raw than cooking them, especially in vegetables. Well, we all know that when veggies and fruits lose some trace minerals when heated. that may also be true with honey. Read my blog about the Raw Food Workshop at Sugarleaf HERE. Unfortunately, most of the honey eaten today has been heavily processed. Like most foods that have been chemically refined, many of the healthful benefits have been reduced or eliminated. And many so called 'local' or 'domestic' honeys are in fact small amounts of domestic blended with Chinese or cheap off shore honey. Processing of honey also filters out many vital phyto-nutrients found in raw honey, products that exist in nature in the hive. Raw honey has not been heated excessively through pasteurization. The only way to get that perfectly clear look of most commercial honeys is to heat it and then filter it excessively. To some extent, raw honey is filtered, but very minimally and in a manner of not destroying the health-promoting enzymes and other nutrients. Here are some of the things I bought at WOFEX 2013. Now that you know why I would prefer raw honey than regular honey, I have made a promise to myself that we should always have one stored in the pantry. I got my raw honey at Sugarleaf, but when I was at the recently concluded WOFEX, I found one at Milea's booth. The one they have was the Coconut and Acacia Unprocessed Raw Honey. It has that caramelized sugar taste or sort of a molasses taste with a hint of palm wine (Tuba), that gradually steep in your palate with leaving any after-taste. It is best mixed in fruit juices, better than using muscovado or coco sugar, since it is lighter in texture than ordinary honey and dissolves easily. Can even be taken directly with a spoon without. Though slightly bitter for the kids, they find it okay, way better than the fish oil vitamin syrup. I have made a compilation from different write-ups about its benefits. HealthyPlanet Blog came up with 10 of her favorite ways on using honey. 1. Soothe sore throats and coughs: Honey’s antibiotic and antiviral properties make it great for treating sore throats and coughs. It coats the throat and helps reduce irritation. Add a spoonful into a warm cup of lemon tea, or just eat it right off the spoon! 2. Treat cuts, burns and scrapes: Smooth a thick layer of honey over minor cuts and burns, and it acts as an antibiotic ointment to help kill any bacteria, reduce inflammation, and protect the exposed skin from dirt and debris. 3. Spread it on your toast: Because it’s thicker than regular, pasteurized honey, I love spreading it on a piece of toast, with a generous sprinkling of cinnamon in the morning. 4. 4. It’s a great energy boost to start off your day on the right foot! Replace the processed sugar: Instead of granulated sugar, use raw honey to sweeten things like yogurt, smoothies, and almond milk, or stir a spoonful into your morning cup of coffee or tea. If replacing the sugar called for in a baked recipe, it’s better to use just regular, pasteurized (organic, if possible) honey, since it will be heated during baking anyways. 5. Wash your face: Raw honey, softened between your palms, and massaged all over your face, first thing in the morning, on a dry face – try it and you’ll love your sparkling, soft skin. It can even help with acne – just apply a small amount to blemishes every night, and you should notice results within a week. 6. Treat allergies: Raw, local honey taken a couple times a day, starting a few month before allergy season has been found to relieve seasonal allergies. It must be local honey, however, since it will contain tiny amounts of pollen from local plants, which will act as a sort of vaccine against the allergens found in that plant. 7. Improve your sleep: Add some honey to a warm glass of milk or tea (or on it’s own!) right before bedtime for a better night’s rest. Honey helps your body release melatonin into the brain, which promotes a deeper, more restorative sleep. 8. Support good bacteria: Honey contains probiotics that help support the growth and activity of good bacteria in our gut, making it very efficient for digestion. Since it doesn’t ferment in the stomach, it’s easily absorbed and be used to treat indigestion. 9. Relieve constipation: Make a warm tea by mixing a spoonful of raw honey and a couple spoons of raw apple cider vinegar into warm water, to help naturally relieve constipation. 10. Make an exfoliating sugar scrub: Mix some raw honey with a bit of sugar, and your favorite moisturizing oil, and massage the mixture all over your body, in the shower, for a gentle, exfoliating, all-natural body scrub. Wildfire Fit Chicks talked about the Hibernation diet. It's a regimen where you shed off some weights while you are sleeping. The Hibernation Diet creators claim the fructose and glucose in honey also provides a fueling mechanism for the body at night — keeping blood sugar levels balanced and letting your recovery hormones get on with burning fat stores. 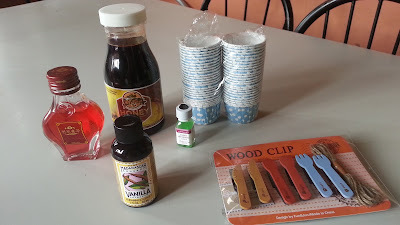 The writer of the same blog attests that among other sweeteners, raw honey is one of those with LOW Glycemic index (GI), so this is the best thing that came upon our pantry, which is very safe for my daughter who is diabetic. Raw honey not only has a full spectrum of vitamins and minerals, but it also contains the flavonoid pinocembrin which is unique to honey, making it an excellent anti-oxidant. Pinostrobin supports and promotes healthy enzyme activity. Together with it is amylase, an enzyme that breaks down sugars and carbohydrates which can restore damaged skin to give a softer, younger look. Honey mixed with cinnamon has been shown to revitalize the arteries and veins of the heart and reduce cholesterol in the blood by up to 10%. It actually is being raved about in different social media networks. When taken on a regular basis, this honey-cinnamon mixture may reduce the risk of heart attacks and stop another from occurring in people who have already suffered one. Add 1-2 tablespoons of honey with 1/3 teaspoon of cinnamon to warm water, then drink daily. Lastly, this is what I'm really elated about. We got a bit worried about our puppy ( a Lhasa Apso) who almost got feverish right after being soaked in rain for hours, during the Typhoon Maring. The morning after that mortifying incident, she was already sluggish and not anymore eating. That day no pet clinic was open so I checked Mr. Google if we can use raw honey instead of the sugar water mix. Benefits of Raw Honey for Dogs from examiner.com. 1. Raw honey given to dogs can work wonders for their health. Keep in mind the list also works for people too! 2. Calcium is found in two forms in raw honey. Proline, an amino acid in raw honey is the primary component in collagen. Collagen is the main structure in bones. 3. Raw honey has been shown to be useful in Rheumatic and Arthritic conditions. 4. Raw honey increases Haemoglobin count and can prevent or cure Anaemia. It is rich in iron and copper. 5. 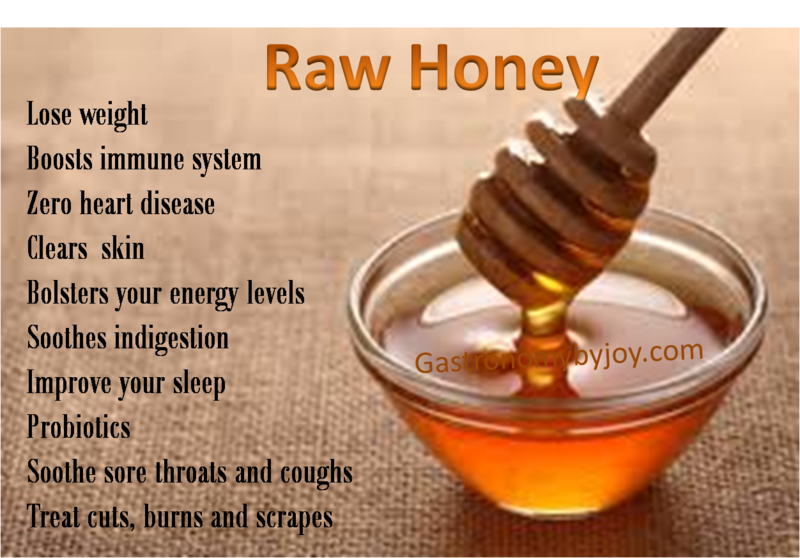 Raw honey has been used successful in the treatment of liver and kidney disorders, diseases of the respiratory and digestive tracts, weak heart action, infectious diseases, and colds. 6. Bacteria cannot live in the presence of raw honey, for the reason that raw honey is an excellent source of potassium. The potassium draws from the bacteria the moisture which is essential to the very existence. So, we gave her a tablespoon of the raw honey, straight to her mouth. After a while (with a day of no water and food) she ate her food and had lots of water. The following day became normal. However, another incident just happened yesterday, when she had thrown up all she had for her night food. That night, she had consumed two large bones of left-over Crispy Pata which I took home from Abe. She was not able to sleep that night, that included me, for she sleeps at our bedside. She kept on moving around and felt hard on her stomach. We felt so worried, and so does the kids. She looked sullen and felt always sleepy but found it hard to sleep. She also had faster than usual heartbeat and her back legs were twitching. We were afraid that she might had gotten the viral infection - canine distemper, the same sickness that took our dog Sparky. When she vomited, my husband gave her a tablespoon of the raw honey and after an hour we gave her a teaspoon of Tempra, and a few drops of water. She wasn't drinking any water but three hours after she had the honey I gave her some cooked chicken liver, I was so relieved that she was eating them and drank the water I also put beside her food. Now she is back to normal and "makulit" as usual. Thanks to raw honey! 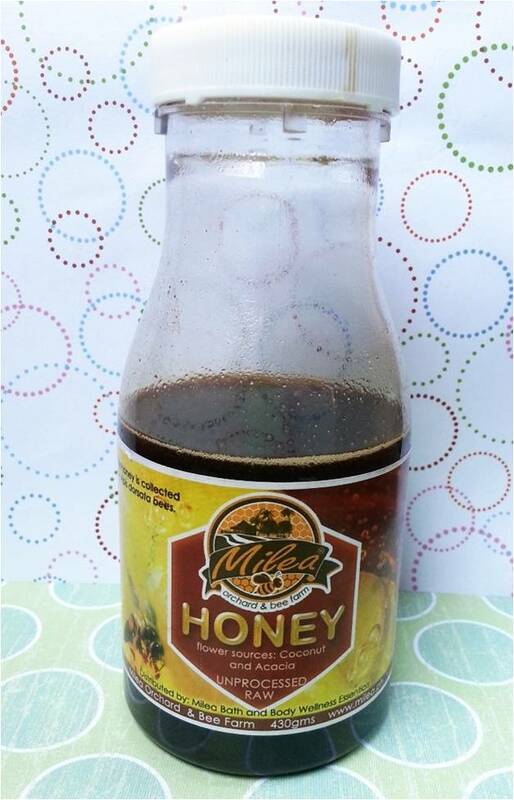 Check out Milea Organics Facebook page to get more info on different Honey products, including Raw Honey, https://www.facebook.com/milea.organics?fref=ts. You may also get raw honey and other superfoods at Healthy Choices by Sugarleaf, here is their FB page: https://www.facebook.com/SugarleafPH. sometime in the past i also gave my dog bones of crispy pata. the next day my dog looked uncomfortable and failed to pooh for 2 consecutive days. she only had crispy pata. it turned out that because of the bones of the crispy pata my dog suffered from constipation. Wow, this is so informative. My mama also believes in the benefits of Honey. Thanks for sharing this.